In keeping with the Miami theme of today here are two of Miami's biggest indie/electronic hopes Awesome New Republic and Panic Bomber who recently collaborated together. 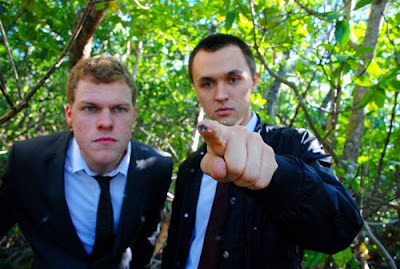 Chances are if you live in Miami you've probably already heard about/read/seen shows from these two amazing artists. 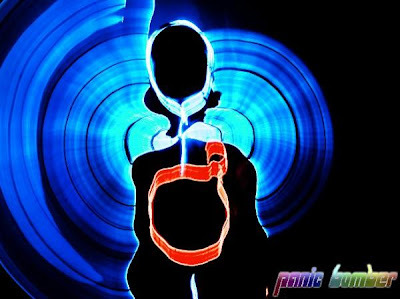 Panic Bomber just won 'Best Electronic Artist' in Miami New Times '2009' Best Of and Awesome New Republic who won 'Best Band' have been making waves on a national scale for quite some time, just embarking on a tour across America. Both well deserved as these guys are the real deal. The true indie/underground Miami scene, not the cheese you might read about or see on reality shows. Recently Panic Bomber collaborated with ANR remixing/adding vocals to their hot new track 'Birthday'. ANR and Panic Bomber both wanted me to debut this as an Off the Radar 'Exclusive' for you! Yay for Miami! Here it is in all it's amazing glory, plus the original version which is spectacular as well. You can download both these amazing artists recent albums/ep's on their websites for FREE! Get Panic Bomber's excellent EP 'Calling in Threats' at www.panicbomber.com and ANR's stellar 'Rational Geographic Vol #1' at www.anrmiami.com.